The Lamb's Wool, Yarn, Knitting, Weaving and more. Lansdale, Pennsylvania. You can still contact us at (215) 361-9899 if there is anything that we can do for you. Betty and Liz will still be giving lesson in knitting and weaving. Stay tune for our new website that will open our online store. It has been a pleasure serving our community for the last 25 years. We look forward to continuing serving on the web. If you have not done so already please sign up for our Baa Baa Blabber to keep you posted on all that we are doing. 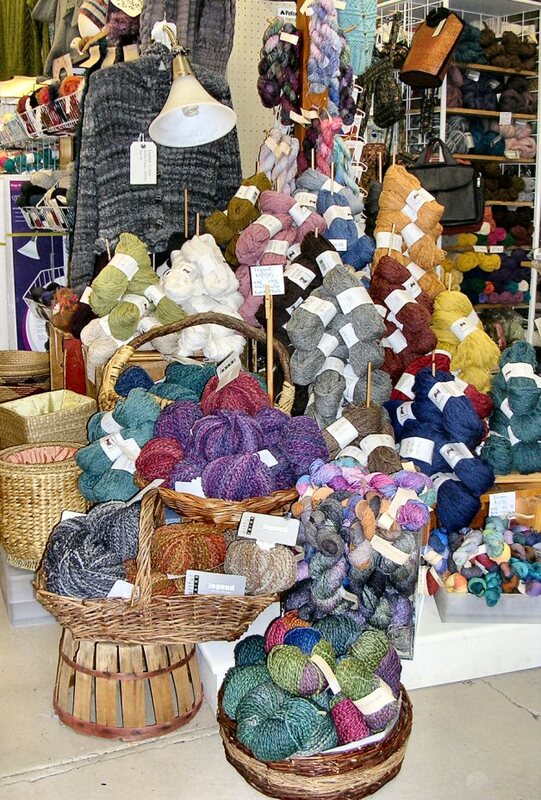 The Lamb's Wool is a full service natural fiber shop (wool, cotton and mohair) specializing in knitting, spinning and weaving. We have over 25 years of retail experience. Check our full line of products for knitting, weaving, spinning, dyeing, buttons and ,of course, our renowned kits. The Girls at The Lamb's Wool pride ourselves on making our company as green as possible. We do not use any unnecessary items in packaging our kit and we recycle as much of the packaging materials as possible that come into our shop.